Finding Momo by Andrew Knapp is photography-activity book for young and old alike. If you ever had fun looking for Waldo, you’ll have fun looking for Momo. Knapp’s photos of Momo are inventive. Whether in fields or outside homes, Momo is easily spotted with his black-and-white fur, but there are some instances where he blends right in. Knapp even includes a key in the back if you need a little bit of help. My daughter had a good time when this book arrived. I spent another day on my own checking out Momo and seeking his cute little face. It’s clear this dog and his owner go on a lot of adventures together. I may just have to follow Momo on Instagram where it all began. How about you? Andrew Knapp, born in Sudbury, Ontario and has travelled extensively with his border collie. In his first book, New York Times Bestseller Find Momo (2014), the reader is introduced to the hide-and-seek loving Momo who is cleverly camouflaged in each photo. His second book, Find Momo Coast to Coast to be released May 19th, 2015, and features photos of landmarks and odd finds on a road trip from coast to coast across the United States and Canada in a VW camper van. Andrew is also the co-founder of We Live Up Here, a multimedia project founded to connect and inspire folks in his hometown and across the world through collaborative art. Who’s Psyched for the Pride & Prejudice & Zombies Movie? 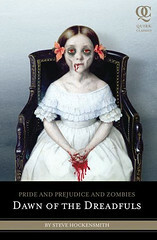 When Pride & Prejudice & Zombies by Jane Austen and Seth Grahame-Smith first came out in 2010, I was excited to read it. As I read the book, I could picture some of the scenes unfolding on a movie screen, and now I’ll be able to see it in action. I’m really hoping that the sparring match between Lizzy and Mr. Darcy is in the film, since it was my favorite part of the book. 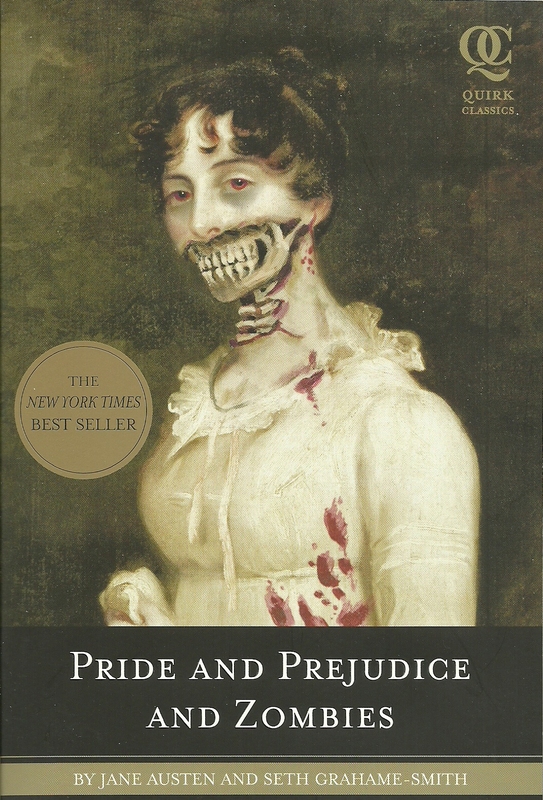 Jane Austen and Seth Grahame-Smith’s Pride and Prejudice and Zombies is a mash-up of Jane Austen’s classic, Pride and Prejudice, and a zombie conflict. Grahame-Smith effectively weaves in the zombie attacks and how the Bennet clan dispatches them with skill. A majority of this novel is Austen’s words, but the dialogue and descriptions that are modified to accommodate zombies are done with aplomb. I’m hoping that Anna and I can make a girl’s night out to see this movie! 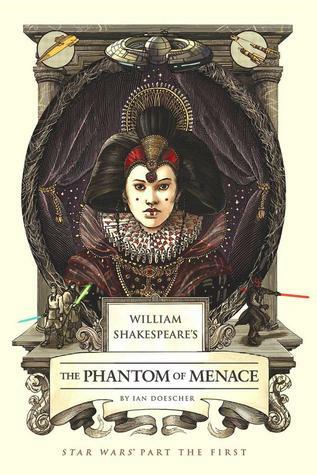 William Shakespeare’s The Phantom of Menace by Ian Doescher is just what it espouses to be, a Shakespearean rendition of Star Wars. Doescher has clearly studied enough Shakespeare and is creative enough to pull this off, and as an avid reader and lover of Shakespeare and Star Wars, this one was a perfect fit. In fact, I was chuckling to myself as I heard the movie version of Jar Jar Binks in my head speaking in near iambic pentameter. It was hilarious. If I could see this one filmed, I would. There are people who hate Jar Jar, and there are people like me who just adore him. What I loved about Doescher’s rendition of him is that there is more to the character than appears outwardly to the other characters. The re-imagining of this polarizing character was fascinating, and I couldn’t wait to see what happened next – even though I know the story. No less intelligent, no less sublime. Anakin: “Why do we worship at the shrine of change? Hath change e’er put a meal upon our board? Is change betoken to something positive? This rendition can be read for its homage to Shakespeare and Star Wars, and it can be read for its humor, but it also is multi-layered with meaning. What does it mean to accept change so easily, and does it mean that youth is unequal to older people with experience? Doescher also speaks of the hidden commentary in Star Wars about perception and the “locals” of Naboo, in that the Jedi believe them to be primitive and less worldly. Fans of the movie franchise and its many incarnations have debated many things like these, as they have been debated in the study of Shakespeare and other literature, why not do it in a modern and fun mash-up like William Shakespeare’s The Phantom of Menace by Ian Doescher. Ian Doescher is a Portland native, and lives in Portland with his spouse and two children. He has a B.A. in Music from Yale University, a Master of Divinity from Yale Divinity School, and a Ph.D. from Union Theological Seminary. 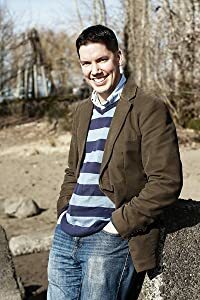 He is currently the Director of Nonprofit Marketing at Pivot Group LLC, a full service marketing, research and web agency in Portland, Oregon. Jane Austen Cover to Cover: 200 Years of Classic Book Covers by Margaret C. Sullivan is chock full of covers from when Jane Austen’s books were first published to more modern renditions as publishers strove to attract the attention of young adult readers. The covers range from plain leather and cloth to campy and romantic, but Sullivan does not stop there. She offers her readers a bit of publishing and copyrights history, along with some family biographical notes. Austen’s novels have endured for two centuries, and some volumes included illustrations by artists and critical introductions by famous critics of the time. In the back of the book, there are synopses of the novels and a guide for buyers of Austen’s works, with some sage advice about staying within a budget — especially since some volumes can cost $500 or more. This is a beautiful rendition of the publishing history of one novelist, with carefully reproduced covers, quotations pulled from the novels, and great comments about the books, the author, the publishing industry of the time, and more. Readers of Jane Austen — no matter how new to her books — will love learning who coined the term “Janeite”, how wealthier buyers in the 1800s personalized their bound books with signature bindings, and critical comments about the book cover decisions that publishers made given the trends of the time. 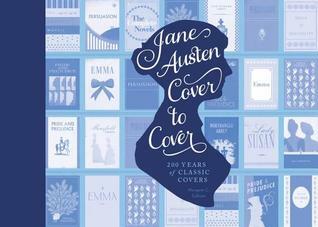 Jane Austen Cover to Cover: 200 Years of Classic Book Covers by Margaret C. Sullivan contains beautiful artwork, commentary, and more for Jane Austen readers, book publishing connoisseurs, and history buffs. 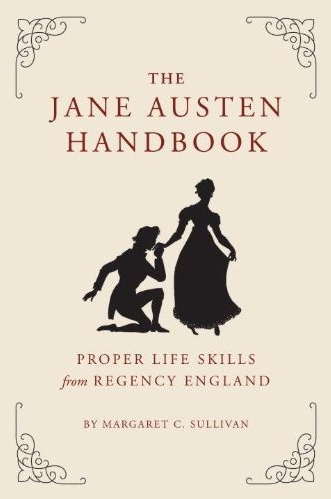 Using the resurgence of Austen’s work in movies to redesign book covers is just one trend that will captivate modern readers, but this volume has a lot to offer. A perfect gift for the Jane Austen lover or history buff in your house. Margaret C. Sullivan is the author of The Jane Austen Handbook, (my review) editrix of Austenblog.com, and an active member of the Jane Austen Society of North America. 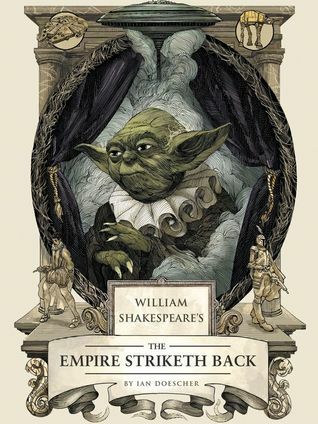 William Shakespeare’s The Empire Striketh Back by Ian Doescher is the second installment in this series and combines the longevity of Shakespeare’s plays with that of George Lucas’ iconic science fiction movie franchise, Star Wars. Like in the first of this series, Doescher uses the chorus to describe action, but he also uses characters to describe some of the action. Moreover, he provides the inner thoughts to characters who do not have them in the movies, such as Lando, and in that way, he provides greater depth to their characters. Even the animals and creatures, such as the Wampa on Hoth, have voices that are heard, though that can be a bit silly — though likely meant in fun. Yoda of the movies may sound Shakespearean, but here there is an added twist in that he speaks in modified Haiku. “Hath not a Sith eyes? As any Jedi Knight did e’er possess? Readers will find homage to the classic plays, including The Merchant of Venice, and many of the asides, monologues, and soliloquys provide much greater depth to the story and characters. While these books follow the movies, Doescher also uses his imagination to make the story reminiscent of Shakespeare’s tragedies and histories — with this book in the series reflecting the betrayal, love, and duals prevalent in the classic plays. William Shakespeare’s The Empire Striketh Back by Ian Doescher is refreshingly fun, and while it does offer some deeper characters than those in the movies, it is not meant to be taken too seriously. 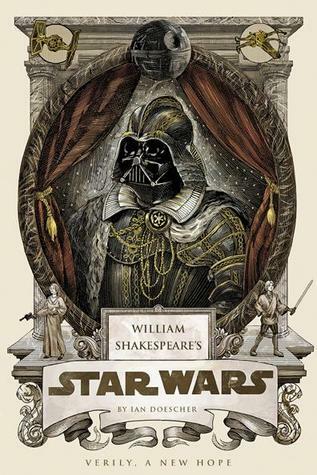 William Shakespeare’s Star Wars: Verily, A New Hope by Ian Doescher is another entertaining mix of classics and modern pop culture, combining the iambic pentameter and language of Shakespeare with the modern pomp of science fiction movies by George Lucas. Doescher uses the plot and characters of the original Star Wars movie with an inventive and lyrical play format from Shakespeare. He combines his knowledge of Shakespeare’s Julius Caesar, Hamlet, and other plays with the pop culture of space travel. Been short with R2, sending him away? Though in his presence oft my speech is cruel. What’s most interesting is how he translates R2-D2’s beeps and ticks into thoughts and statements to C-3PO and the other characters. These droids garner more human-like qualities through the Shakespearean language. Complete with asides and soliloquy, Doescher clearly has studied not only Star Wars but also Shakespeare’s plays and methods. In the back of the book, he talks about the similarities between the two greats and the influence of classic myths and archetypes that came before them. And like any mesh of pop culture and classics, this novel includes more modern language and drawings to illustrate what would occur on stage. In some cases, a Greek play-like chorus is used to narrate the action. One of the best scenes happens when Luke Skywalker, like Hamlet, speaks to the helmet of a stormtrooper as if it were Poor Yorick. All hush’d and quiet–silent to the last. William Shakespeare’s Star Wars: Verily, A New Hope by Ian Doescher is just the first installment in another line of Quirk Books that is bound to find a willing audience. This action-packed retelling does not stray far from George Lucas’ creation, but what’s intriguing is how Doescher uses Shakespearean language to spice up the drama. It’s witty and fun, though the term “verily” seems a bit overused. At any rate, an entertaining novel to spend a rainy afternoon or snowed in evening with. 8th book for 2014 New Author Challenge. Normally, I don’t review three books in one post, but I’m making an exception for this set of baby-related books. When the publicist at Quirk found out my husband and I were having our first child, they kindly sent us some reference guides on caring for her. 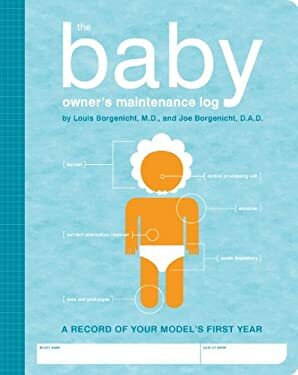 The Baby Owner’s Manual by Louis Borgenicht, MD, and Joe Borgenicht, D.A.D., can be used as a reference guide by all new parents and probably some who already have children. The main approach of the book is similar to how a manual would talk about your new stereo or other consumer product by first describing its parts and functions and then discussing care and maintenance. There are tips on how to perfectly swaddle the baby and how to deal with emergency situations. Included also is a section on what accessories are not included, such as bottles and diapers, and a caution that some “models” may vary. New parents don’t have a ton of time to read this book cover-to-cover, but it is easily dipped into for advice, particularly if they encounter a particular problem at feeding or bed time. Readers will enjoy the instructional tone, but also the witty nature of the concept of baby as product, which eliminates the need for hard-to-understand medical jargon and other instructional nonsense that leave parents confused or bored. Most of these tips are practical and easy to employ without incurring great expense, which is fantastic since most things related to babies are expensive and time-consuming. The companion The Baby Owner’s Maintenance Log wasn’t as useful given that new mothers and fathers are merely scrambling around trying to find time to sleep, let alone write down each feeding and bowel movement. Inside, there are spaces to record name, birth weight, eye color, bowel movements, feeding times and ounces, and of course developmental feats like rolling over. To be honest, readers will not likely have time to write all of these moments down, though doctors will expect you to know roughly how many ounces the baby is eating, how frequently, and how long s/he sleeps. It would be a blessing to have all of that information written down in one place, but from a practical standpoint, it is unlikely to happen unless the parents are super-organized and write down the details in the moment. Finally, The Baby Owner’s Games and Activities Book by Lynn Rosen and Joe Borgenight offers a wide variety of activities to do with a baby and is grouped by specific age ranges to ensure proper development. Again, this reference guide offers a fun and non-clinical look at development. Surprisingly, I found myself doing some of the activities outside our daughter’s age range, but she seemed to just go with the flow and gobble up the knowledge. The age ranges are not hard and fast rules/categories. Babies tend to learn by modeling after activities done by their parents. If you make a funny face, they will try it to — emulating you. If you clap, they will try to clap. Its fun to watch babies grow and adapt to new activities, even at ages younger than those outlined in this book. There are probably activities that new parents will not have thought of or done that are included in this book, like having their child smell different flowers, etc. These are merely exercises in development, but also in having fun with baby! Overall, Quirk has an excellent set of baby manual books to help new parents that won’t be overly prescriptive or boring. They will teach new parents and babies alike, but also be fun and enjoyable. The only one in the set that seems least useful is the log book, but that’s just due to time constraints. It could come in handy for parents who have nanny’s or babysitters and want to know what their baby did when they were at work or having date night. This is my 40th-42nd book for the 2011 New Authors Reading Challenge. Haiku Mama by Kari Anne Roy is a slim volume of 17-syllable poems called haiku, which is a Japanese form of poetry. Rather than celebrate the joys and beauty of nature, these haiku celebrate the joys and frustrations of new motherhood. The poems are cute, quick reads for busy moms and the book contains illustrations on a number of pages, though readers may wish for more apt illustrations considering some of the topics addressed in the haiku. For instance, one haiku discusses the typical technique of pretending the spoon or fork carrying the food is an airplane entering the hangar (aka the child’s mouth). An illustration of the airplane and hangar method and its food-splattering results would pack even more of a punch. However, this volume of poetry is not meant to be analyzed too closely, but merely taken for what it is . . . a way to decompress, laugh with another mother who has experienced the same thing, and look back on raising a child with some whimsy. Haiku Mama by Kari Anne Roy is just the break a new mother needs. Quirk Books, an independent publisher, makes this volume of haiku poetry available from Kari Anne Roy, the perpetrator of Haiku of the Day blog. Please check out her blog and her bio. As part of the National Poetry Month 2011 blog tour, please stop by Rhapsody in Books for today’s tour stop and review of I Wanna Be Your Shoebox. This is my 4th book for the Fearless Poetry Exploration Reading Challenge. This is my 10th book for the 2011 New Authors Reading Challenge. Steve Hockensmith’s Dawn of the Dreadfuls is a whimsical prequel to the Pride and Prejudice and Zombies mash-up. But even though it is a prequel, the struggles with the zombies occurred long before this story begins and this is just a rebirth of the plague. “Capturing a dreadful, it turned out, was the easy part. Getting it to go where one wanted — that was nearly impossible. In this story, the Bennet girls are being trained in the dark arts following the rise of the undead in the English countryside. Unlike previous mash-ups, Hockensmith stays true to Austen’s language and characterizations, as much as he can with the introduction of zombies and ninjas. Mr. Bennet seeks to take on the tutelage of his daughters on his own, but the Order soon sends him Master Hawksworth, a young man of 26, who takes a keen interest in his daughter Elizabeth. Along the way the Bennet sisters work hard to polish their skills, vanquish unmentionables, and reclaim their dignity in a society that finds their modern ways unappealing until it is convenient for them. From the strong and reserved master to the single-minded Dr. Keckilpenny, the Bennets meet obstacles head on and overcome them. Some of the same societal prejudices exist in this mash-up, but it’s also full of fun dialogue, swift action, and bungling antics. And readers will see a different side of Mr. Bennet and learn some of Mrs. Bennet’s past in Dawn of the Dreadfuls. And for fun, check out this cool book trailer. 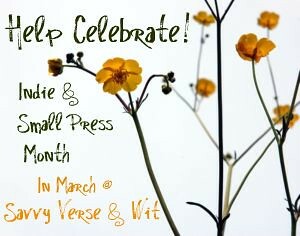 Don’t forget to stop over at 32 Poems Blog and Diary of an Eccentric today as part of the National Poetry Month Blog Tour today! 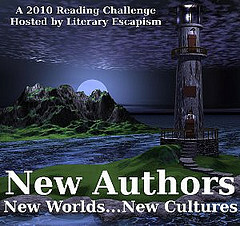 This is my 22nd book for the 2010 New Authors Challenge. This is my 4th book for the Jane Austen Challenge 2010. FTC Disclosure: Thanks to FSB Associates and Quirk Classics for sending me a free copy of Dawn of the Dreadfuls for review. Clicking on title and image links will lead you to my Amazon Affiliate page; No purchase necessary, though appreciated. 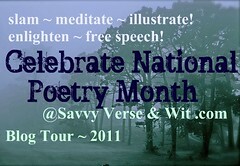 © 2010, Serena Agusto-Cox of Savvy Verse & Wit. All Rights Reserved. If you’re reading this on a site other than Savvy Verse & Wit or Serena’s Feed, be aware that this post has been stolen and is used without permission.